This map shows Belvedere after the second stage of its development. The builders have turned their attention to the land north of the town, where it descends towards the Erith Marshes and to the west of Bexley Road in the valley formed by the Bedonwell stream. The Royal Alfred Institution, a home for retired sailors now occupies Belvedere House in the north-east corner of this map. 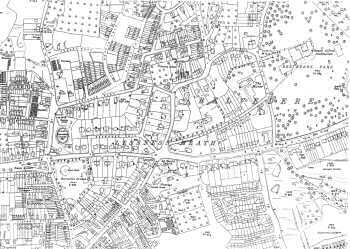 1:2500 OS map, published by the Ordnance Survey Office, Southampton, 1933.